BAE Systems Brass Band – Helping to Keep Music a Living Experience ! Following the resignation of Melvin White due to ill health, BAE Systems Brass Band is delighted to announce the appointment of David Chapman as the Musical Director. David takes over with immediate effect and the band is looking forward to working closely with him. 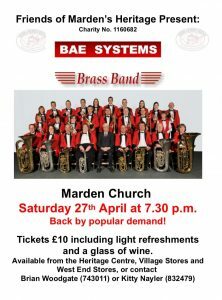 If you are interested in booking BAE SYSTEMS Brass Band to play at your event, please contact The Secretary, details can be found on the ‘Contacts’ page. This website is not affiliated to, controlled, directed, supervised or endorsed by BAE Systems Plc or its group companies.